We’ll begin with the current release from Spark at left. 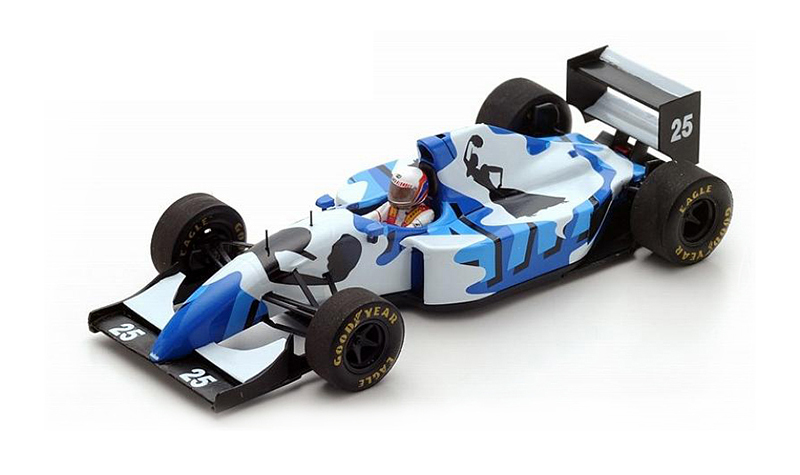 The Ligier JS39 was driven by Martin Brundle at the 1993 Japanese Grand Prix. Created by the artist Hugo Pratt, it certainly takes contemporary art one step beyond and obliterates the sponsor’s name. 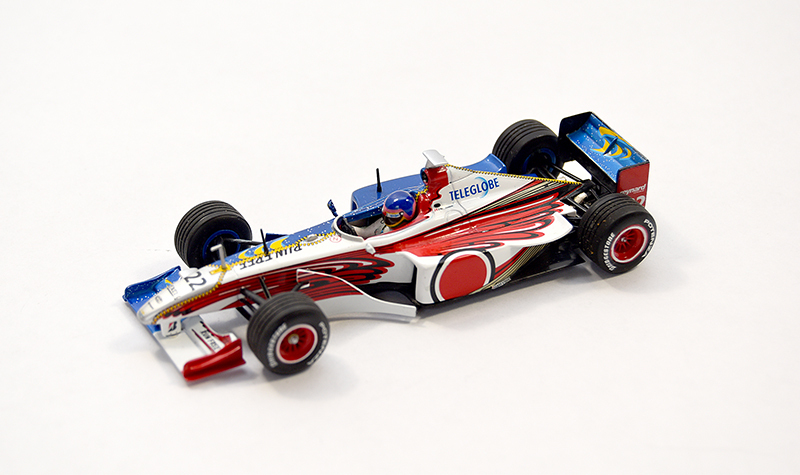 Fortunately, fans of F1 know that Gitanes sponsored this car and see that peaking out of the artwork. Before there was the Benetton 186-BMW “swash car”, there was a similar Hart powered Toleman TG185. 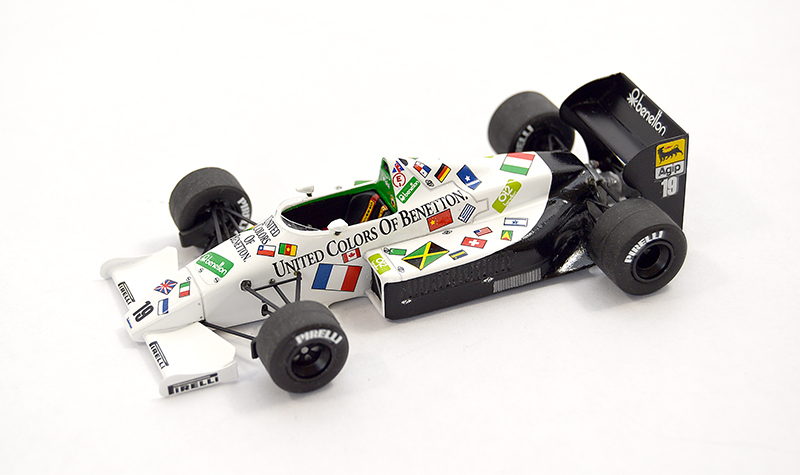 The “flag car” was the last Toleman before Benetton bought the team and renamed it. This design owed itself to the Benetton tagline of “The United Colors of Benetton”. The model at right is a Racerhead build from a Provence Moulage kit. 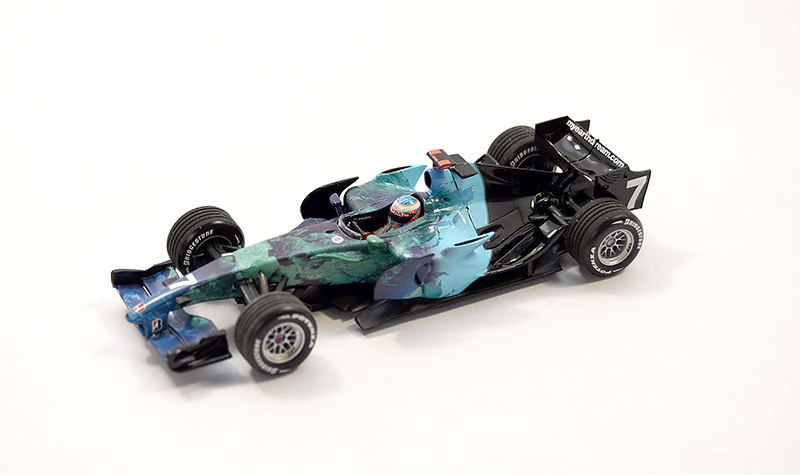 When Honda rejoined F1 for a third time with BAR, they inadvertently hatched an art car. British American Tobacco owned the team and wanted to use their 555 brand of cigarettes on one of the team cars and Lucky Strike on the other. Unfortunately F1 rules dictated that both cars in a team must have the same overall major livery. So BAR just divided the two liveries in half and divided them with a large zipper, left. Pretty funny. Later, Honda purchased the team outright. They were unable to find a title sponsor and used the cars to put forth Honda advertising themes. They placed an image of the planet Earth as seen from space on the Honda RA107. Pushing environmental issues, the theme of the car was “my earth dream”. A little too subtle perhaps. 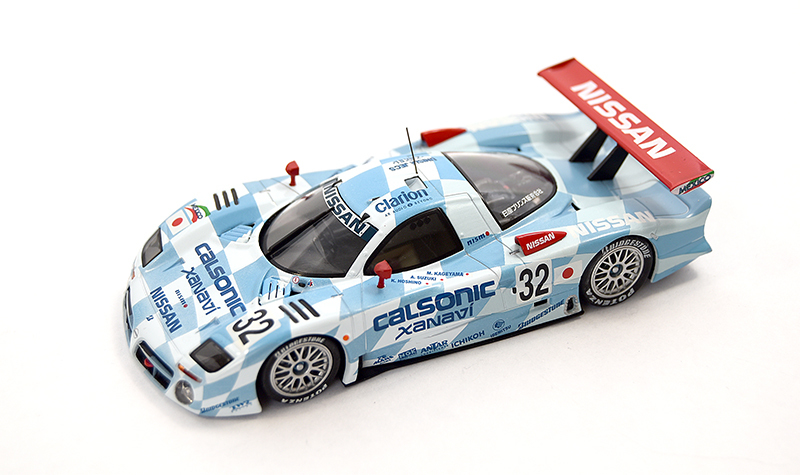 Both models were created by Minichamps. 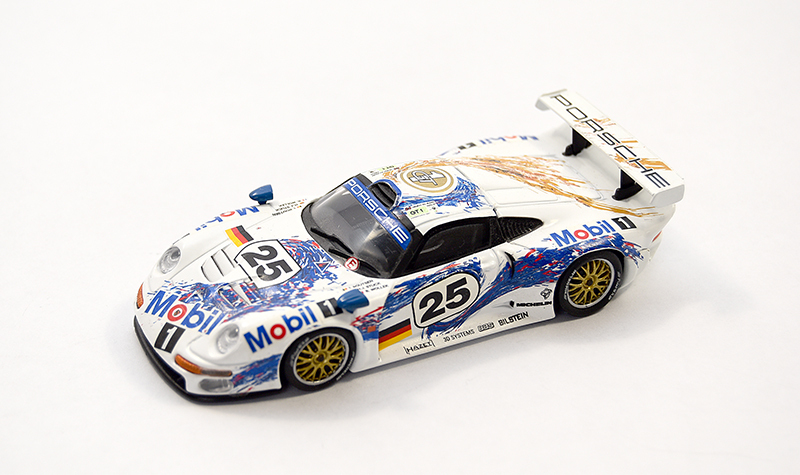 LeMans has seen its fair share of art cars. Alexander Calder’s BMW 3.0 CSL started the art car idea at the great race. 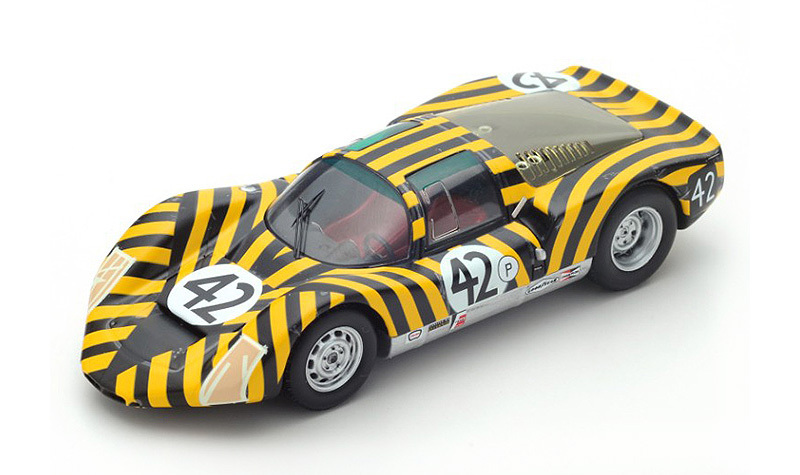 The very closest to a true art car seen recently is the Oreca Matmut at the top of the page. 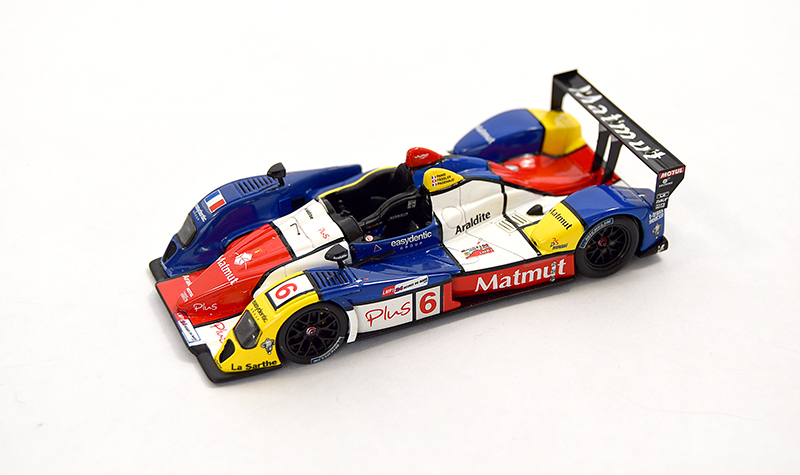 The paint scheme is a direct lift from any Piet Mondrian painting. The use of primary colors was a hallmark of Mondrian as it was for Alexander Calder. 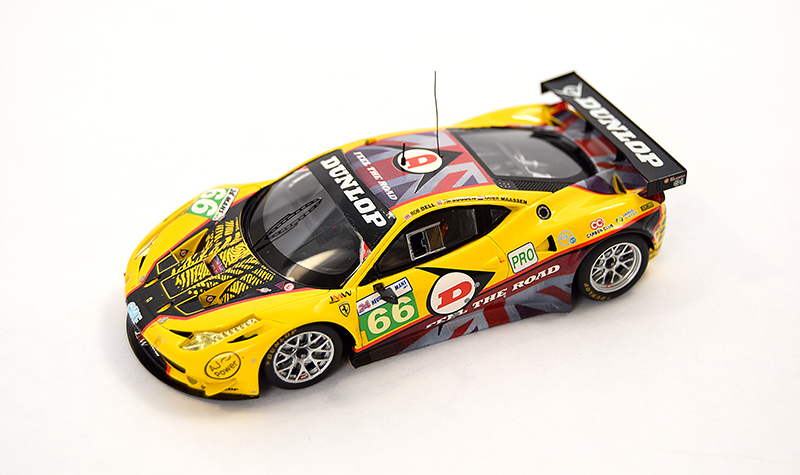 In recent years Dunlop has sponsored a competition at LeMans for artfully decorated cars with a Dunlop theme. 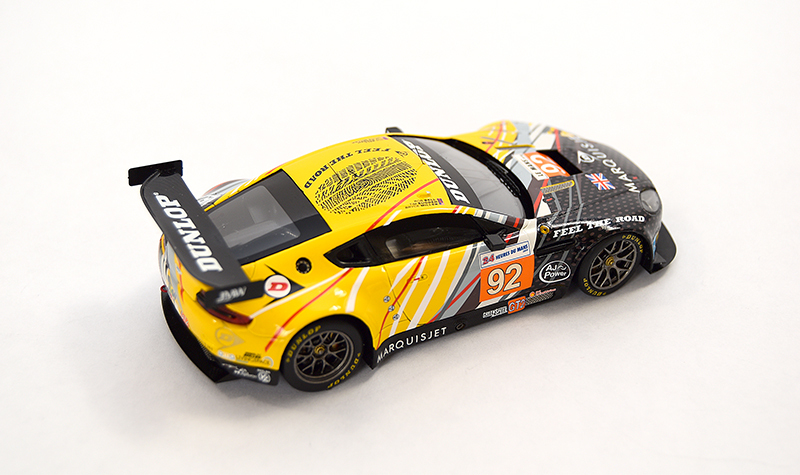 Designs were submitted by fans and the JMW team then wrapped their Aston Martin DB9 initially and a Ferrari 488 later on. 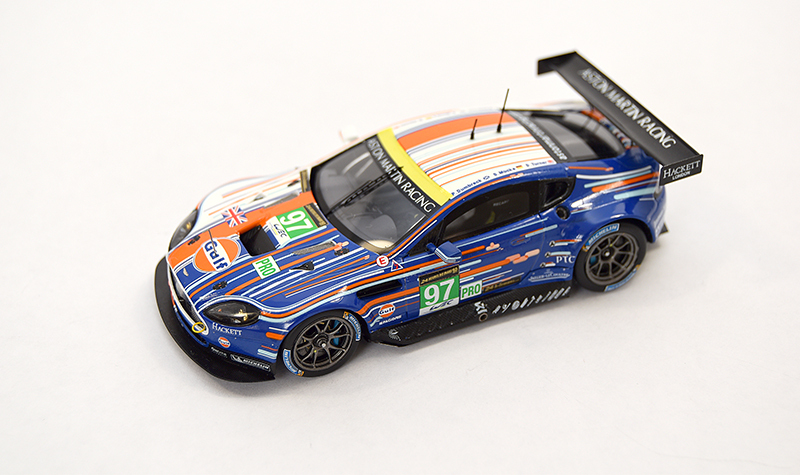 Aston Martin themselves would enter a Gulf-sponsored DB9 with a split day/night wrap. 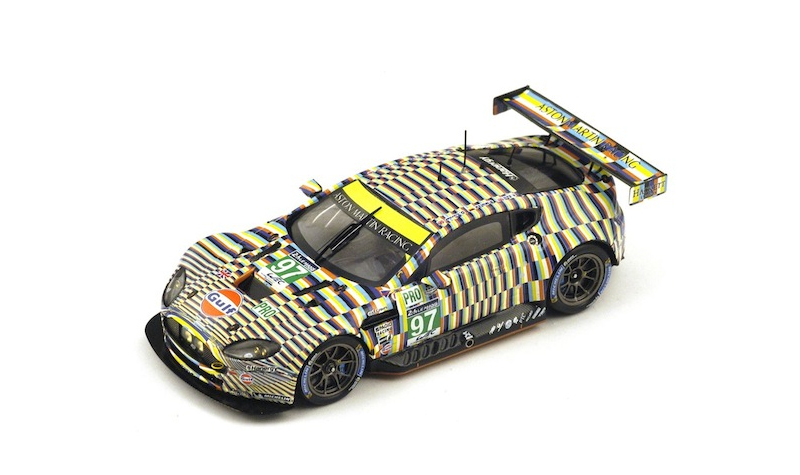 Later, Aston presented a 3D art car design that was not received well. 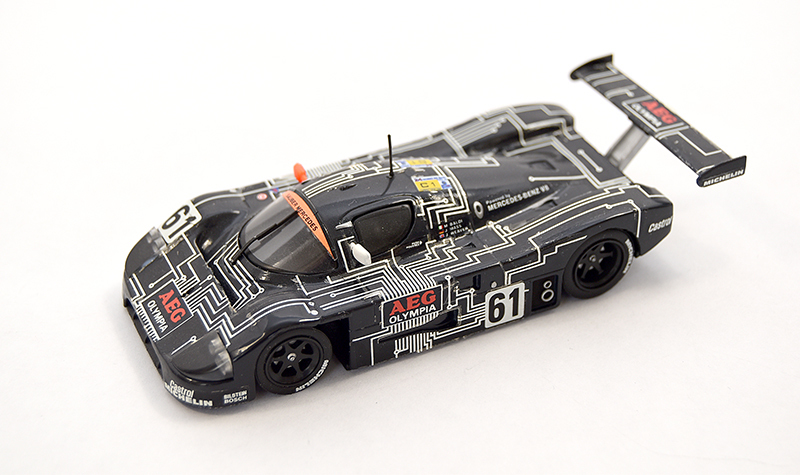 Mercedes re-entered endurance racing with Sauber in 1988 after many years away from the sport. The disaster at the 1955 LeMans race in which one of their cars flew into the crowd, killing many, caused Mercedes to withdraw from racing. 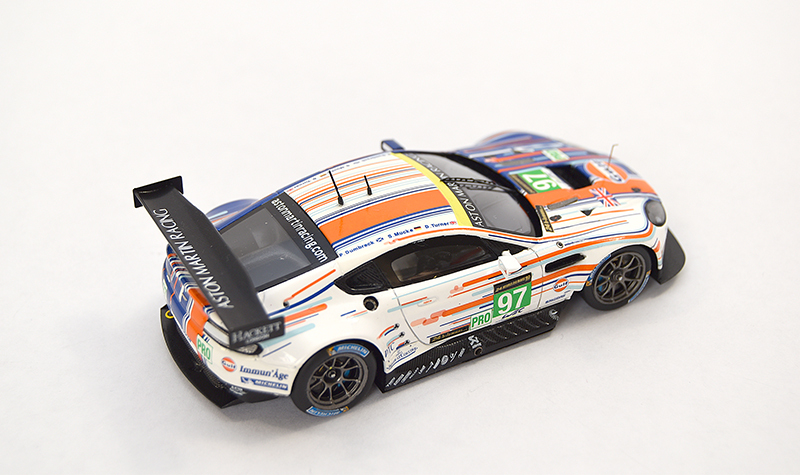 They contested the FIA endurance series with their electronic motif AEG cars, winning 5 races and finished 2nd in the series. 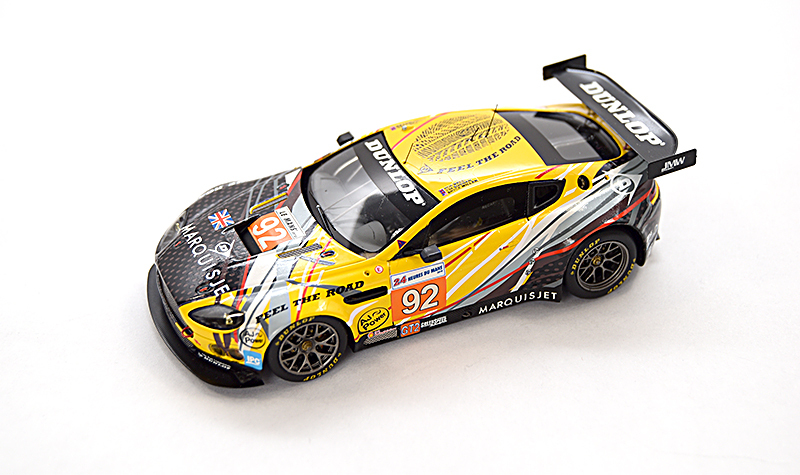 However, a tire blowout problem at LeMans caused the team to withdraw from the race. 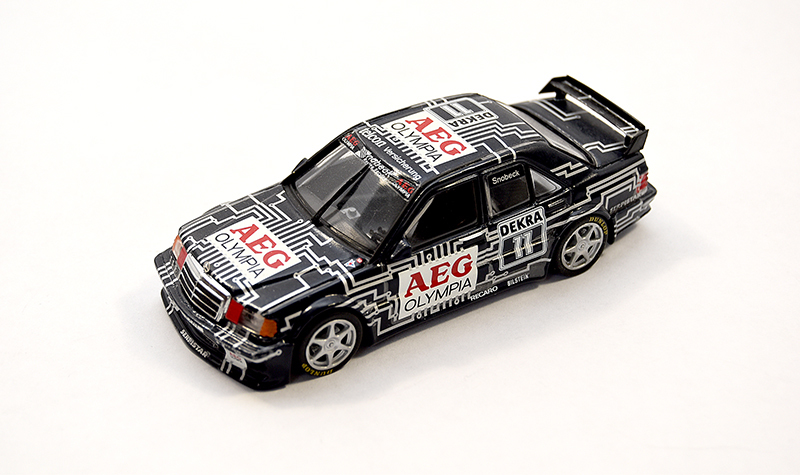 The AEG decoration would be used on a Mercedes 190 in the DTM as well. 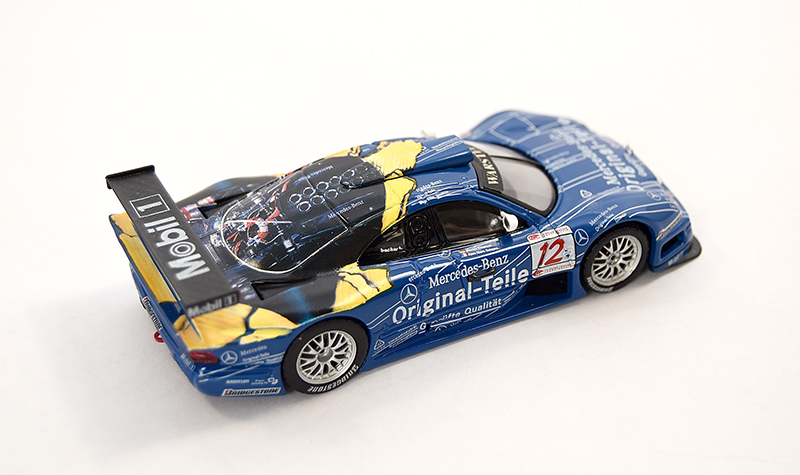 Mercedes has also used art on other endurance and DTM cars. 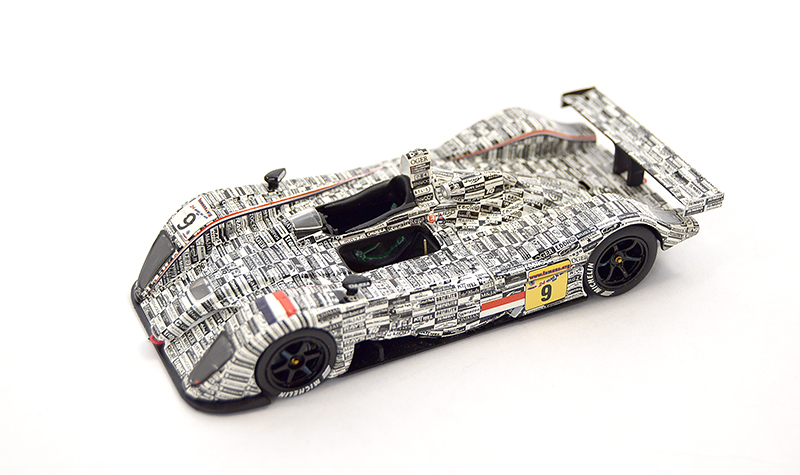 The Mobil 1 decoration of bodywork ripped open to reveal the engine appeared on 190 and CLK race cars over the years. 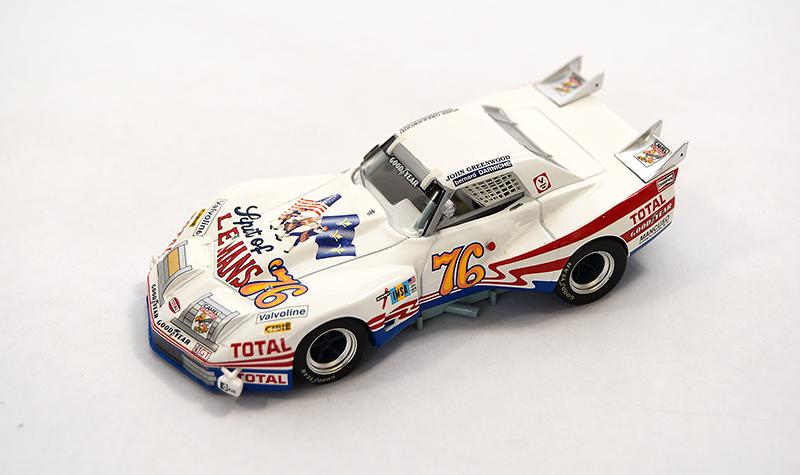 IMSA has had its own art cars, starting simply with the John Greenwood Corvettes appearing in the late 1970s. 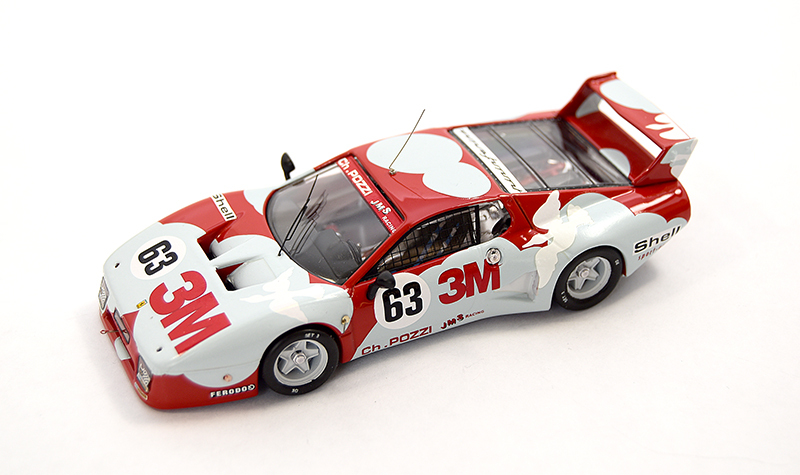 The “Spirit of 76” car was an immediate hit with the initial Sebring decoration which then became the LeMans car as well. Fun and effective was the Red Lobster March 83G. 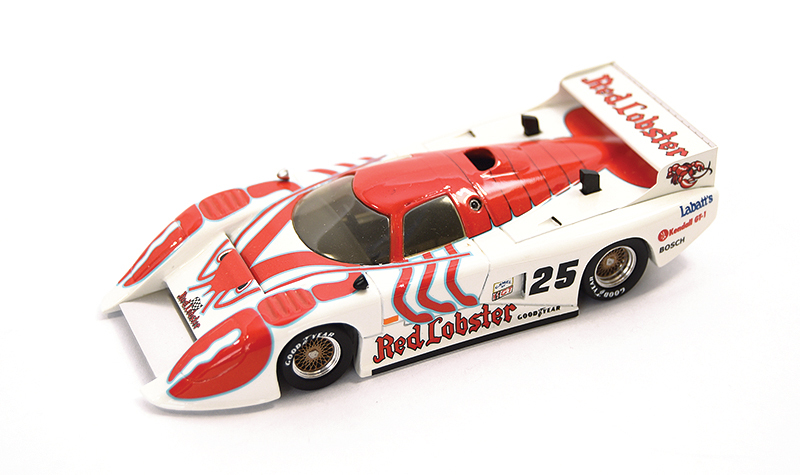 The March was christened “lobster claw” from the beginning with its large front wing perched between two distinct front fenders. The sponsorship was a natural fit and a hit with fans. Of late, IMSA competitors has used an overwhelming amount of vinyl wrapped cars. Patriotic decoration proliferates at the race at Watkins Glen each year because it occurs close to the 4th of July holiday. 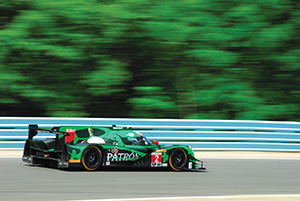 See our report from Watkins Glen from 2017 and 2018 for a glimpse of the cars. 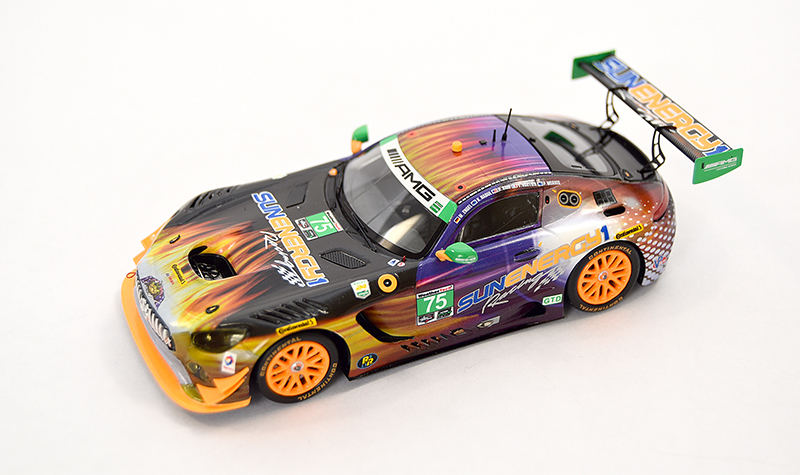 Current competitor SunEnergy has used colorful and dramatic decoration on their cars for the last two seasons. 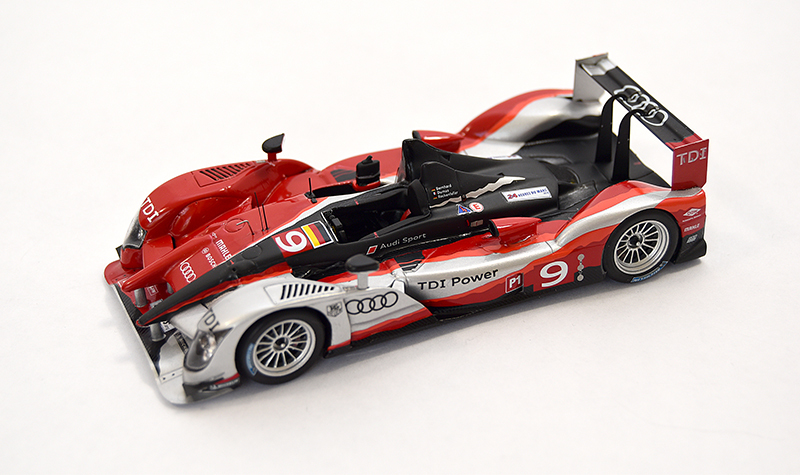 The 2017 car can be seen below. Lastly, a couple of cars that may or not be art cars, but sometimes art is in the eyes of the beholder. 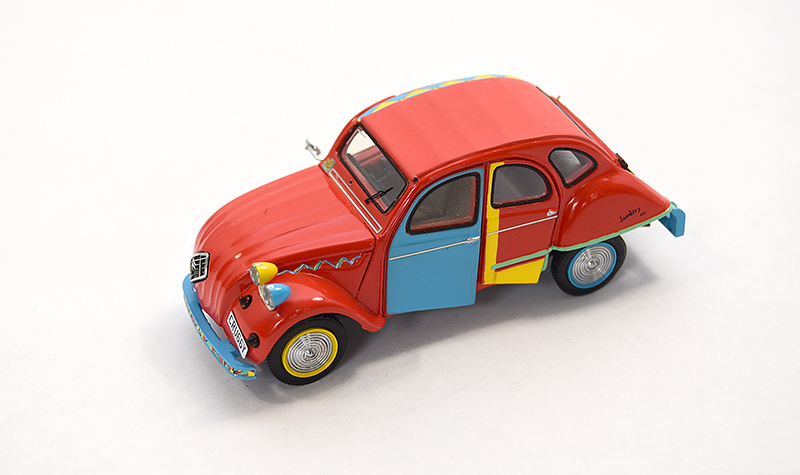 The Citroen 2CV offered by Premium X is supposed to be what Pablo Picasso might have thought of in the automobile realm. 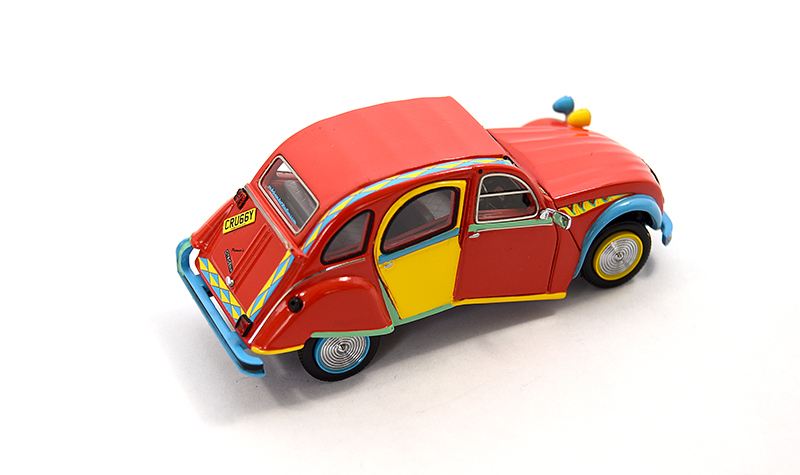 Created by British mechanic Andy Saunders, it mimics the off-balance style of Picasso very nicely. Pure fun. The Porsche 906 at right really did compete at Sebring. Captures your attention, no? It may be ugly or it may be art. You decide.